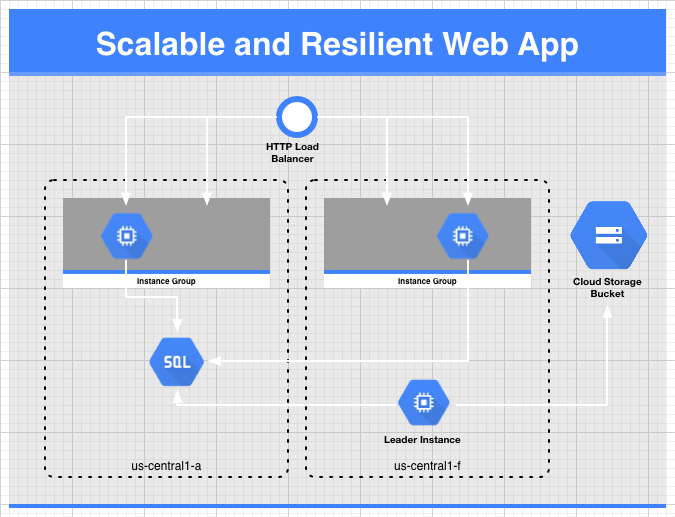 Today we’re excited to introduce a solution paper and tutorial for Scalable and Resilient Web Applications to help you – you guessed it – build a scalable and resilient web application on Google Cloud Platform. The solution includes a technical paper that discusses the application architecture and key design decisions as well as a functional, open source application and tutorial hosted on GitHub that you can deploy or even use as a starting point for your own applications. You may have read our previous post about Google Compute Engine Load Balancer easily handling 1,000,000 requests per second or watched the live demo where Compute Engine Autoscaler added enough instances to handle over 1,500,000 requests per second and wondered, how exactly did they do that? You’ll also learn how to use Chef and Google Compute Engine startup-scripts to configure and install software on instances at boot time. There’s a lot of technical content we think you’ll find useful – check out the article, then head over to the GitHub project page (where you’ll also find the tutorial and can ask questions or make suggestions in the issues section) and start building more scalable and resilient apps. Google App Engine is a great place to run your applications, but for some workloads you may want more fine-grained control of the environment your app runs in. You may need to fine-tune how or when scaling occurs, customize the load balancer or code in a language that Google App Engine doesn’t support.